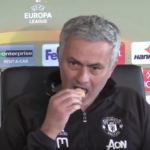 And as if that wasn’t bad enough, Carrick’s own son, seven-year-old Jacey, nutmegged his old man before the match began. Ice. Cold. Things would get better for the elder Carrick, though. He went on to score the final goal in a 2–2 draw. Presumably to make up for the previous indignities. 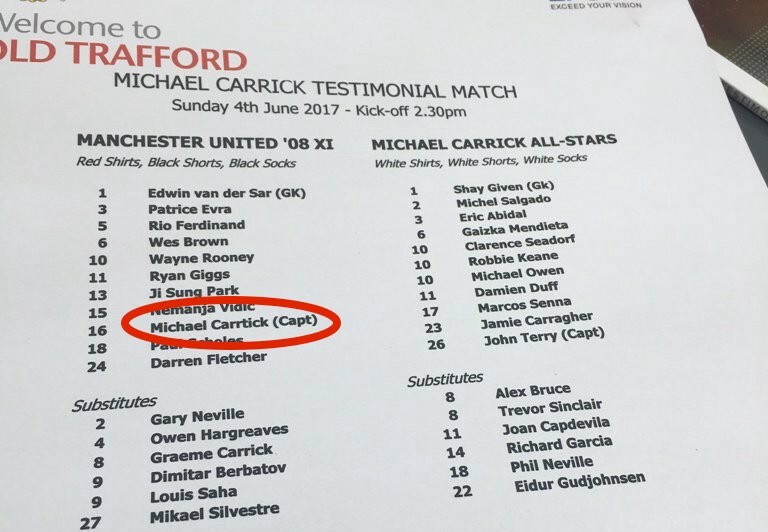 FT: #MUFC &#39;08 XI 2 Michael Carrick All-Stars 2. @Carras16 grabbed a late equaliser to cap off an enjoyable testimonial at Old Trafford.